The Tiger Muay Thai & MMA Phuket, Thailand team didn’t hold anything back this past Thursday night (4th May) as it took Matt Semper a mere 2 minutes to finish off his opponent while Czech Republic native, David Tygr Ploc, was victorious in his Muay Thai debut. “I think we need to make a name for my left hand,” joked Semper after the fight at Patong Boxing Stadium Thailand, which he quickly ended in the first round. The Bronx, New York native came into the fight relaxed, absorbing few kicks and picking his moment. Just as the crowd and fighters were warming up, the fight climaxed when Semper threw his first combination: a right punch to the body followed by a left hook to the head. 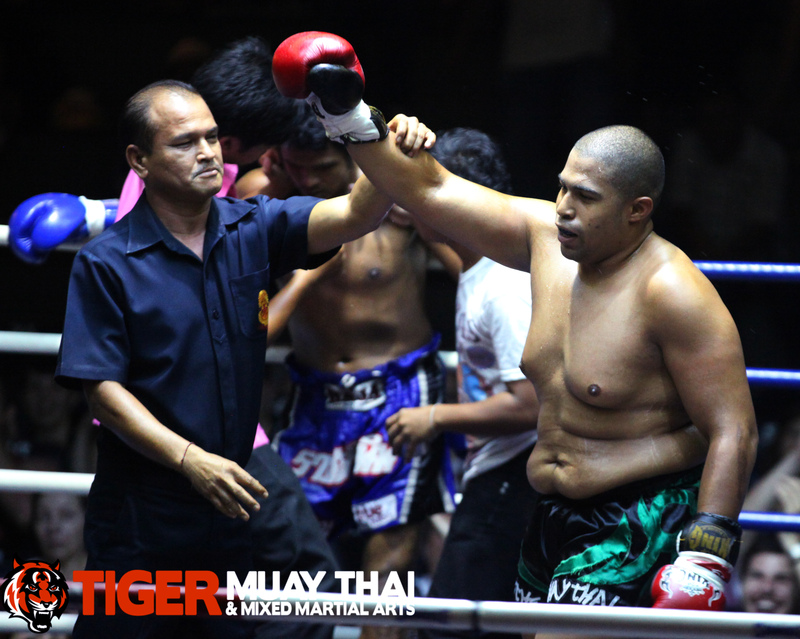 His opponent, 26-year-old Thai fighter Rachpracah, stayed on the mat for nearly a minute after. “Once I attempted to throw an elbow in the first round, I knew I was winning this,” boasted Semper. The win is the American’s last fight before heading over to Iran later this month to compete in a Muay Thai competition which will see Matt matched up with one of the Middle East’s top fighters. 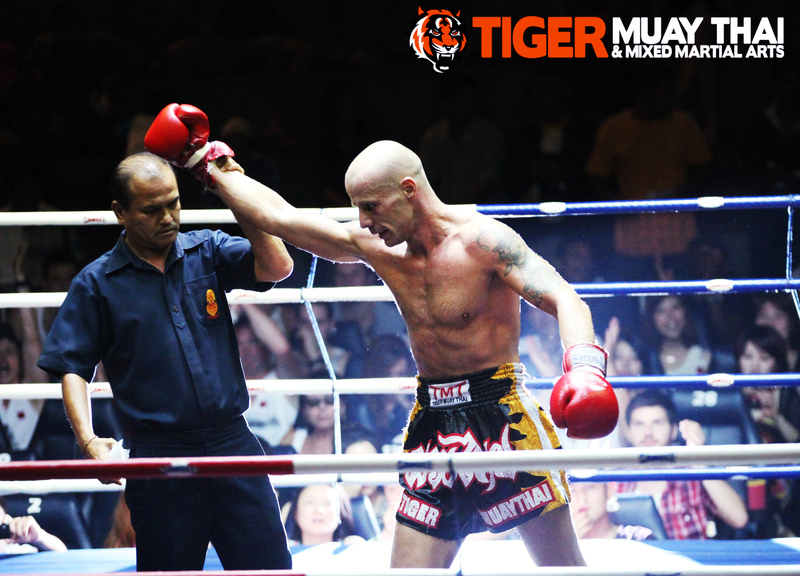 The Tiger Muay Thai & MMA Phuket, Thailand team kept the wins rolling as David Tygr Ploc stayed calm under pressure during his debut. Ploc, a veteran of over 60 boxing bouts and 20 kickboxing fights, last fought in 2009 back in his native Czech Republic. The third round saw Ploc finally knock down Petdam with a right roundhouse kick. The two traded heavy blows well into the fifth round, as Ploc kept working his combinations peppering them with the occasional kicks. Ploc won the fight on a decision by the judges.